Buy paper cups from Pattersons Catering supplies extensive range of disposable coffee cups and disposable paper cups for cold drinks. The extensive range of paper cups includes single wall paper cups, double wall paper cups and cold drink paper cups. This extensive range is ideal for a number of different catering establishments, including cafes, coffee shops and mobile caterers. Serve your customers hot and cold drinks with this extensive range of paper cups and matching lids to save spillages. From 40z disposable cups to 16oz disposable cups, at Pattersons Catering Supplies, we can supply you with the disposable coffee cup or cold drink paper cup that you need to serve drinks from your menu. As well as different sizes, we also stock a range of different colours and patterns. Plus we have compostable cups available if being eco-friendly is a key part of your business. 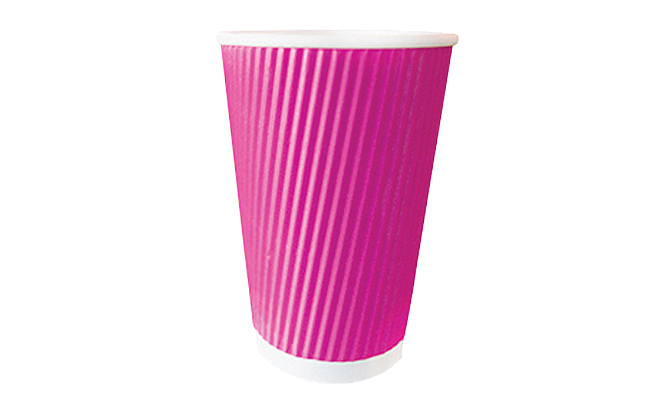 Buy your paper cups from Pattersons Catering Supplies extensive range of disposable cups and lids, part of the large range of catering disposables available to buy today. Buy your disposable paper cups from Pattersons Catering Supplies and get FREE UK delivery on orders. If you have any queries or questions about the range of paper cups we stop, please call our customer service team on 0117 934 1270 or email us on web@pattersons.co.uk. Buy your single wall paper cups, double wall paper cups and cold drink paper cups today.